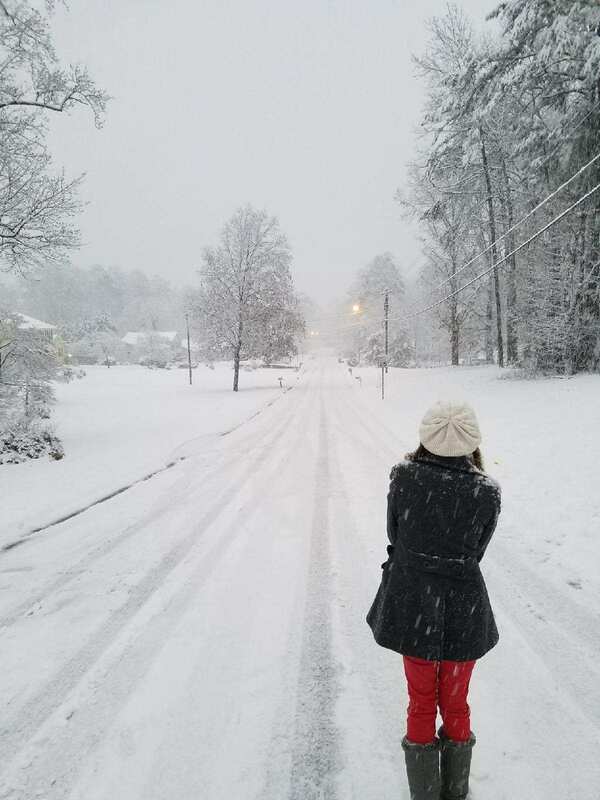 This past Friday, the Atlanta, Georgia area got an early December surprise, SNOWFALL! I realize that people in other climates are used to frequent snow so it doesn’t make the headlines like it does down in the southern part of the U.S. But in our area, where it’s not unusual to have several years with no frozen precipitation at all, a dusting of snow is cause for lots of attention (especially from the suddenly self-important meteorologists). Normally here, the weather forecasters see themselves as radar-reading prophets as they herald impending doom and traffic jams anytime there’s the slightest possibility for the white stuff, but this time there was barely a mention of it, let alone accurately predicting the 6 to 8 inches that blanketed some areas of the city.